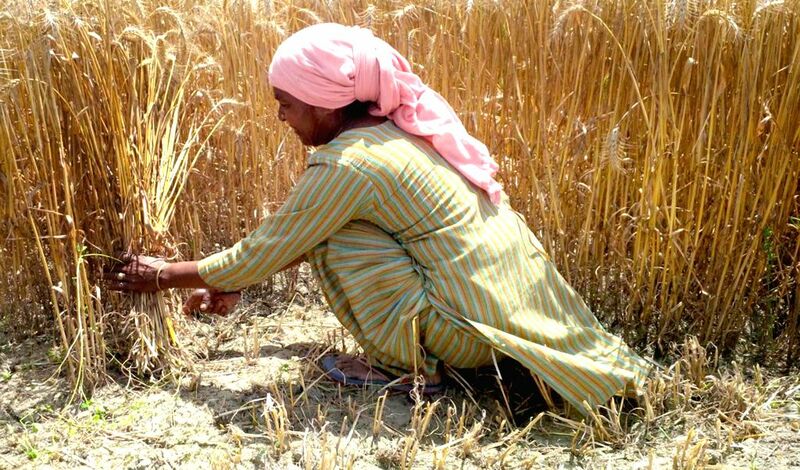 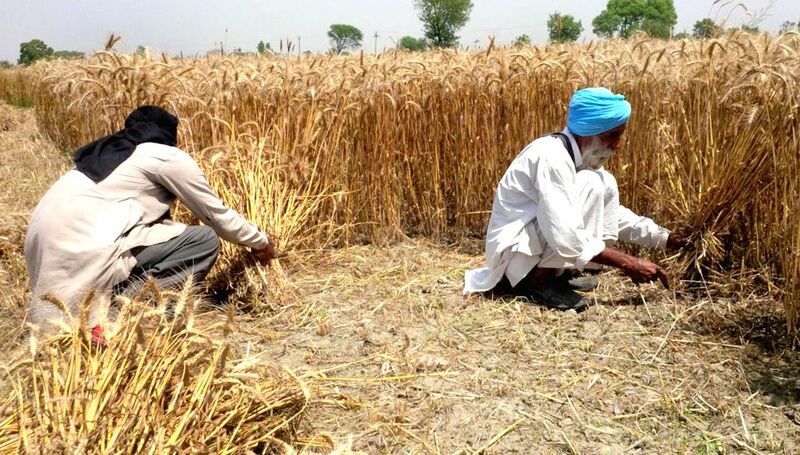 Amritsar: A farmer harvests wheat in a field on the outskirts of Amritsar on April 23, 2015. 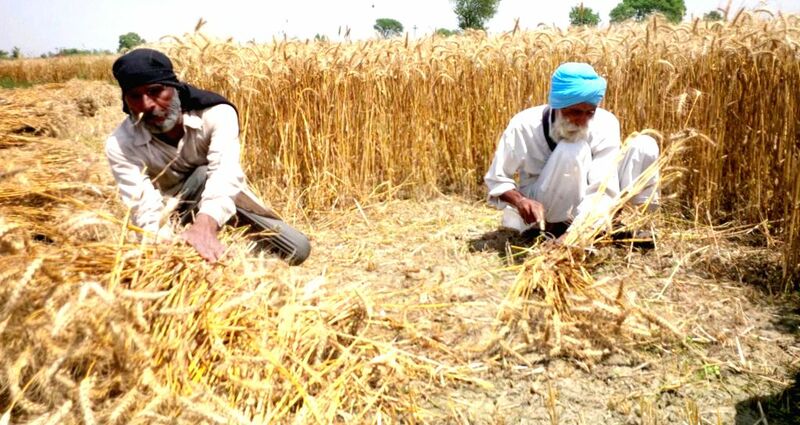 There has been delayed harvesting of the wheat due to inclement weather. 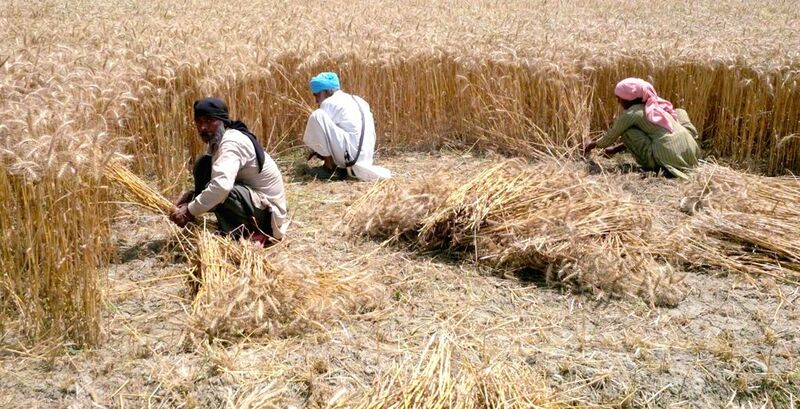 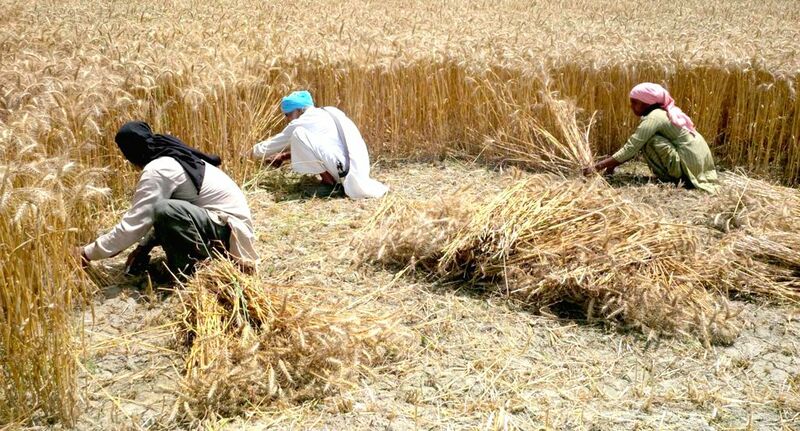 Farmers harvest wheat in a field on the outskirts of Amritsar on April 23, 2015.